This is a pretty easy trick to download Instagram images to your phone or pc. Click on the three vertical dots on the right of the picture to open options. 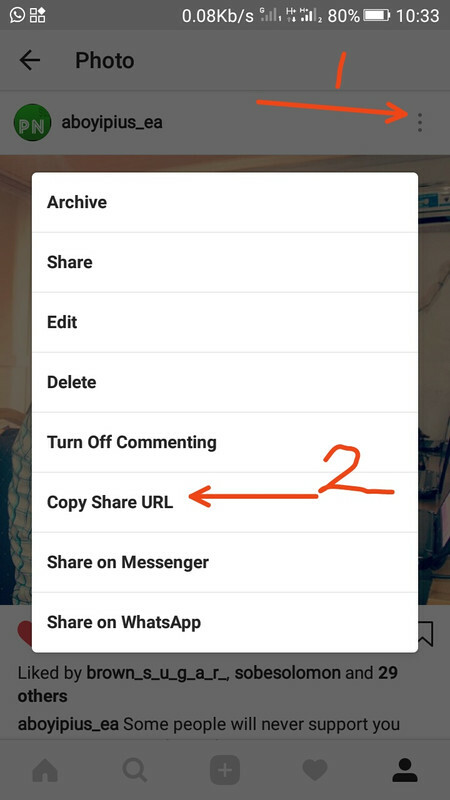 From the options tap on copy share URL and the link to that image will be copied to your clipboard. Next visit http://www.dinsta.com or http://instasave.xyz and paste the copied url in the text field provided. Next click on download to save the image.